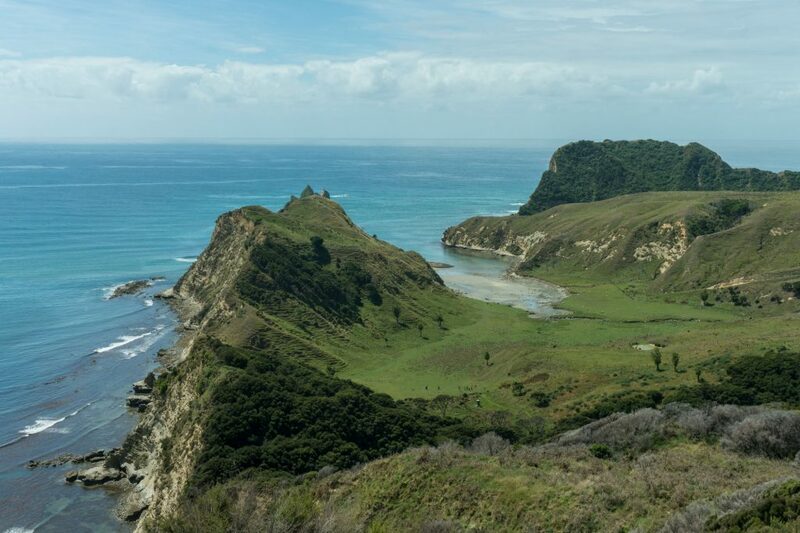 It’s a scenic drive up to Gisborne from Hawkes Bay with a mixture of ocean views, wild farmland and bush. Plenty of corners and a few decent hills. I hadn’t been to Gisborne since I was a kid and was keen to explore the surrounding area. On this trip, I walked through Eastwoodhill Arboretum, swam at Rere Falls and Tolaga Bay, walked to Cooks Cove, enjoyed Morere Hot Pools and drove along a random gravel road with surprising views to Mahia Peninsular. 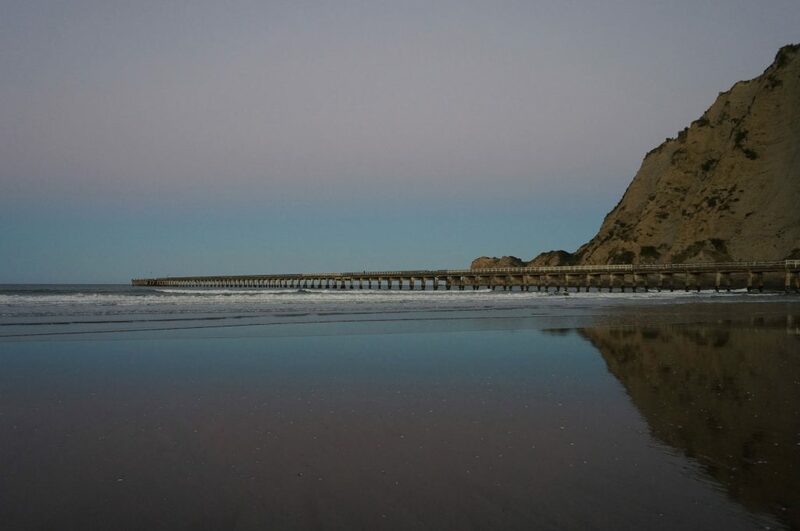 Below is more in-depth with tips about my trip to the Gisborne Region. A 131 hectares park with lots of different paths. Eastwoodhill Arboretum was started in 1910 by William Douglas Cook. He bought over a huge range of trees from the Northern Hemisphere and you almost feel that you are in another country. If you are in a self contained vehicle, you can stay in the carpark for $10. Such a peaceful setting and I was the only one there for 2 nights. 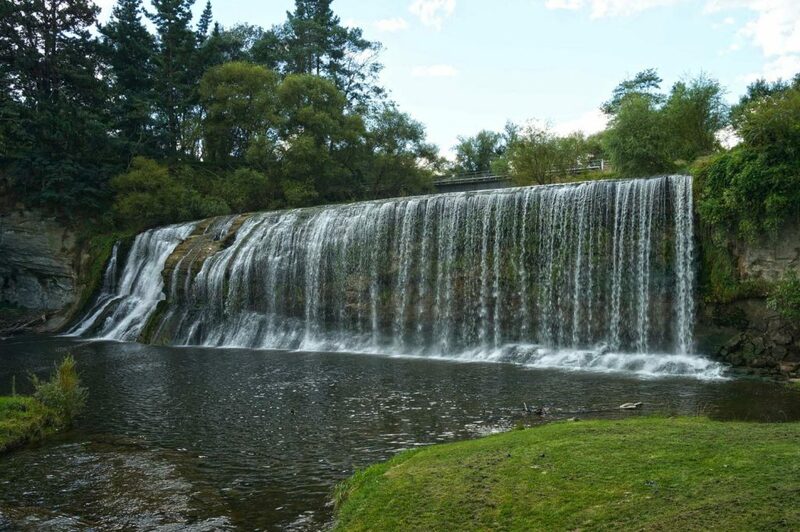 Along the same road as the Eastwoodhill Arboretum, it’s a wide waterfall with plenty of water. A great place for a picnic. I came here as a kid and remember a tree right next to the falls with a swing which has gone. There was a warning sign saying the water quality isn’t good enough for swimming in, but plenty of people went in anyway – myself included. I’ve seen quite a few of these signs this summer and am genuinely concerned that so many of our waterways are not classed as safe for swimming – what is going on! Is it all from farm run-offs or is something else going on? The Bay is known for it’s wharf. It’s the 2nd longest wharf in New Zealand and you can walk right to the end. Kids jump off and people fish from the end. The beach is wild with plenty of wood piled up on the sand from previous storms. It’s a good swimming beach with waves. There is a nice sized carpark with diagonal carparks. Caravans tended to park on the grassy verge leading up to the carpark. I stayed at the Tolaga Bay Holiday Park for 5 nights. It’s right next to the beach and is really a great setting. There were a good number of school kids staying for summer camp but the campground is large enough for us all… plus they were put far from us RVers. Stock up on food in Gisborne. The local “supermarket” is just a diary. You can only use the dump station at the campground if you stay for 2 days or more and it’s kept locked. It’s for black water only. In summer, they don’t want people fulling up their fresh water tanks. Imagine there is limited water. Good internet signal through my modem. Good showers that you don’t need to pay extra for. I heard Anaura Bay a little further north is a stunning beach. This is a 2.5 hour return walk right next to Tolaga Bay. 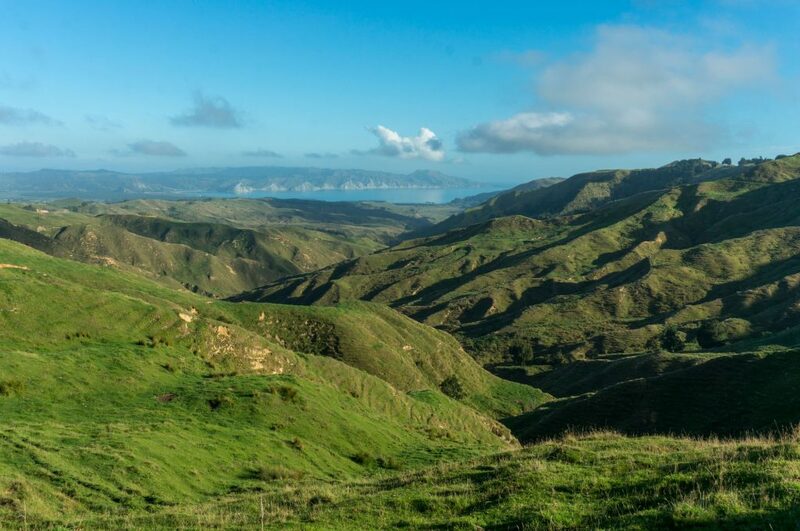 The Cooks Cove walk goes straight up through farm land and has a good view overlooking Tolaga Bay. 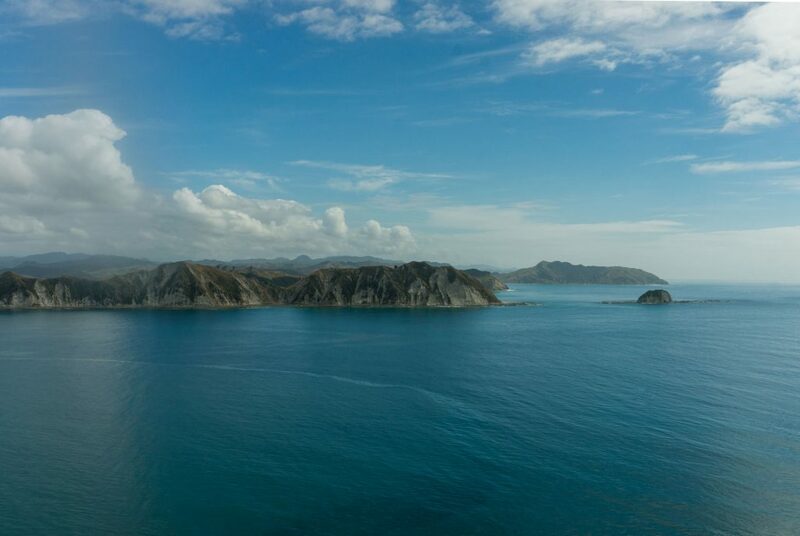 Actually, there are plenty of panoramic views on the whole trip. Heading back down you walk through bush and reach the hole-in-the-wall. Further along is the cove. When I went, there were plenty of sheep just standing around on the sand. I didn’t met a single person on my walk there but it got busier on my return. This place had been mentioned to me a few times before I visited. 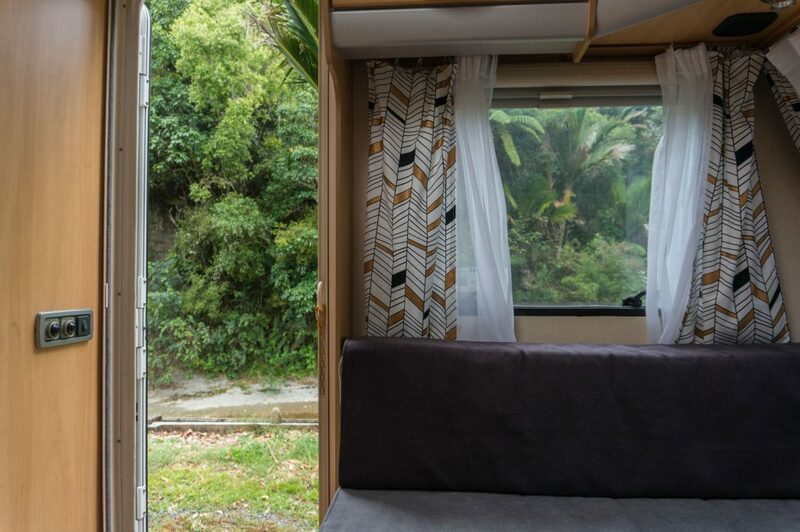 I stayed at Morere Tearooms & Camping Ground which looked extremely cute on the CamperMate App. It’s literally right opposite the hot pools. A well planted area with a small stream running along the bottom. There’s a old school room which had been moved from another area. Lovely staff – the owner has the business up for sale. 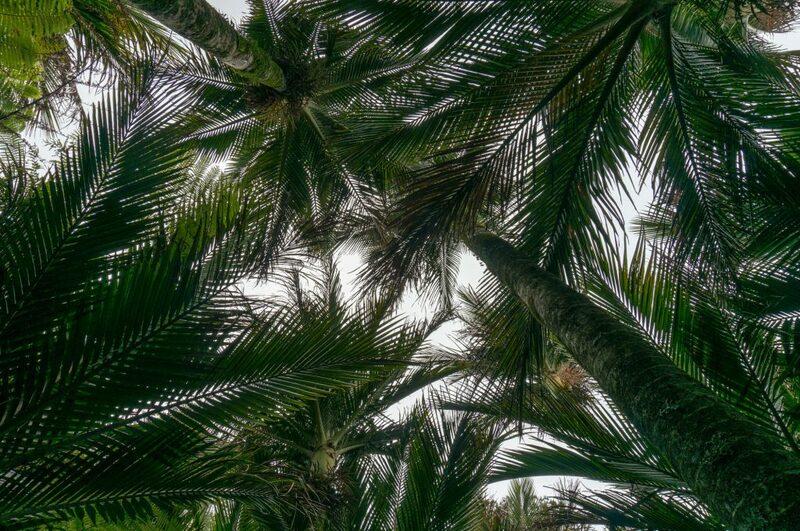 The Morere hot pools also have a few walks through Nikau Palms. There is a short 25min walk on a good walking track or a couple of proper hiking options. I was quite late in the day so did the shorter walk and just wandered up part of Mangakawa Track that showed me to the original site of the hot pools (early 1890s). I had an internet connection at the campground. There is a tasty looking cafe. Only 1 toilet and shower for females but fine for the small number who stay. You can hear the sound of traffic along the highway. There is a private pool option at the hot pools. It costs a small amount of money to go on the walks. I was planning to stay on the Peninsular but wasn’t sure if there was internet or what to expect. One evening after working online I went for an evening drive from Morere along Tunanui Rd – just to see what was there. The road was a surprise. It’s basically a gravel 1 lane road through farmland but it’s right on top of the hills and the views were stunning! I could see all of the peninsular and didn’t come across another person. Eventually I popped out by Mahanga. Looks like a few other people have found this beautiful peninsular and there were a few buildings newly started. One side of the peninsular had rough surf and the other had calm water. I came across a nice looking freedom camping spot by the water at Opoutama with a few motorhomes set-up for the night. Driving back along Nuhaka Opoutama Road, there were fanatic views along the long stretch of rough ocean and I ended up coming back the next day to enjoy the beach again. Definitely not a swimming beach as it was too rough but I spotted a few locals fishing. The Gisborne Council has a different set-up to most. You pay a small amount for a permit that enables you to stay at set sites along the coast. Most of the camping spots are open just for summer. You don’t have to have a self containment vehicle and can even stay in a tent. You’re even given a rubbish bag! You can get the permit from most of the i-sites in the area or online. There are a few other businesses mentioned on the website too. I had heard mixed stories about freedom camping with some saying they had no problems and others being bothered by locals not wanting them there. 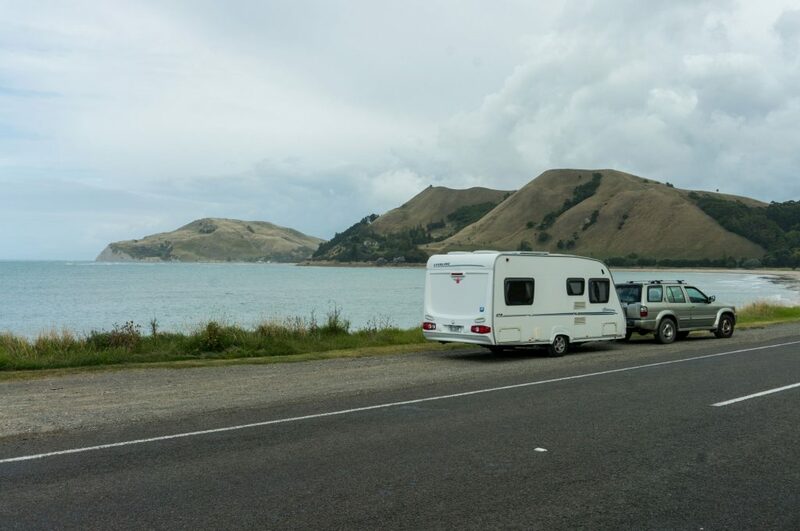 This trip was to see if I could imagine myself freedom camping in the Gisborne region on a future trip… I still don’t know. I did learn that there was no internet connection along a beautiful looking freedom camping site by Pouawa. There is still so much in the Gisborne Region for me to explore and am keen to go back soon. 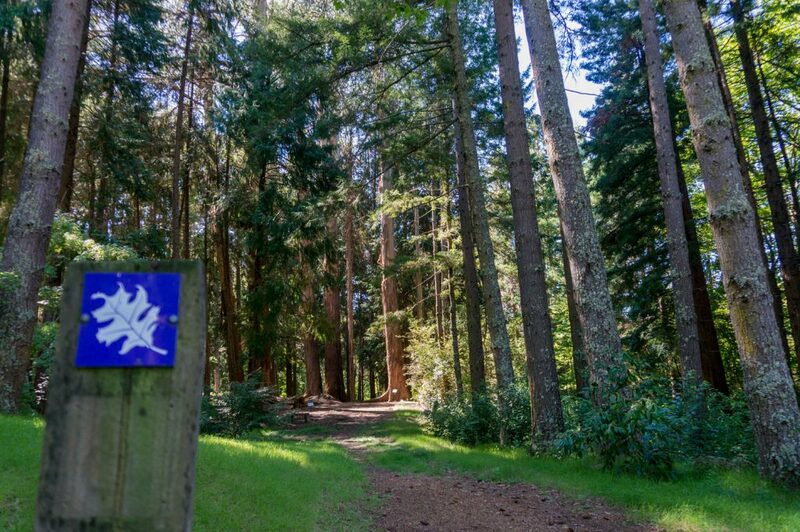 Do you have a favourite spot in the area? Have you freedom camped there? I’d love to hear about it in the comments below.